← I’m Not Buying Any Presents for My Kids This Christmas! *This post is only for getting general dirt and light stains off a carpet. You’ll need professional carpet cleaning Florence, SC for anything for serious! Keeping your carpet from getting dirty is the first step! Don’t wear your shoes in the house is the absolute biggest prevention and vacuum regularly! You should have a vacuum that has a beater bar, one that actually picks up dirt from the carpet. My kids are little and spill and drop everything on my beige carpet. Yay. This is what it looked like before I cleaned it. You can clean a carpet by hand very, as long as you don’t mind getting sweaty. You can even have a carpet cleaning party. Invite your friends over to help. It will go much faster that way. #1 Get a bucket of warm water and put a little of natural cleaning agent or soap in it. Not too much, or the soap will never come out. I like to use a little bit of dish detergent. It honestly doesn’t matter so much what you put in the bucket because the dirt will mostly be removed by the warm water and your scrubbing. 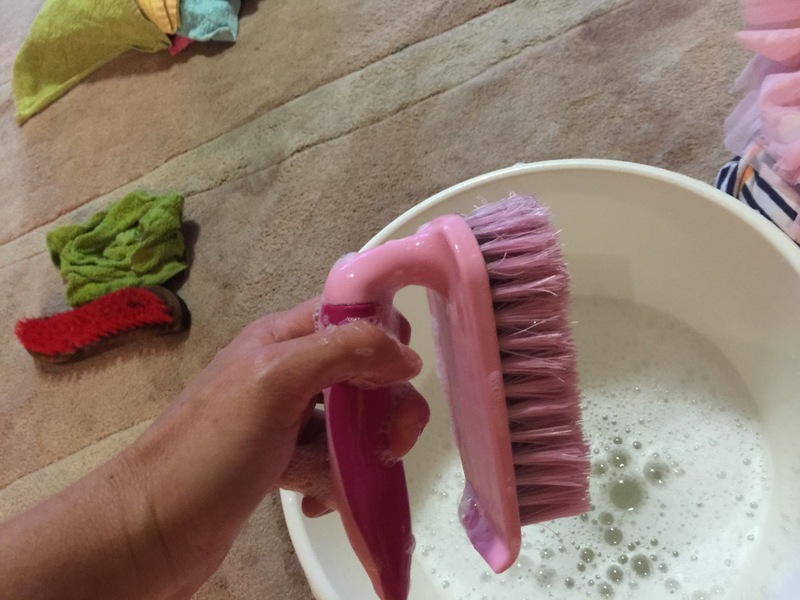 Dip your brush in the bucket and scrub with a little water on the floor, not saturated, but enough to get the carpet a little wet. #2 After you scrub with a scrubby brush, change your water to fresh water with nothing in it, then start to rub with a rag or I like to use terry towel rags, they seem to have extra texture to rub out the dirt. Get on your knees and rub with fresh clean water… Like this. #3 Drying. Try to do the carpet cleaning on a relatively dry day, with low humidity. If that is not possible, turn a fan on it until it’s dry. I like to clean my carpet at night so that it has all night to dry. 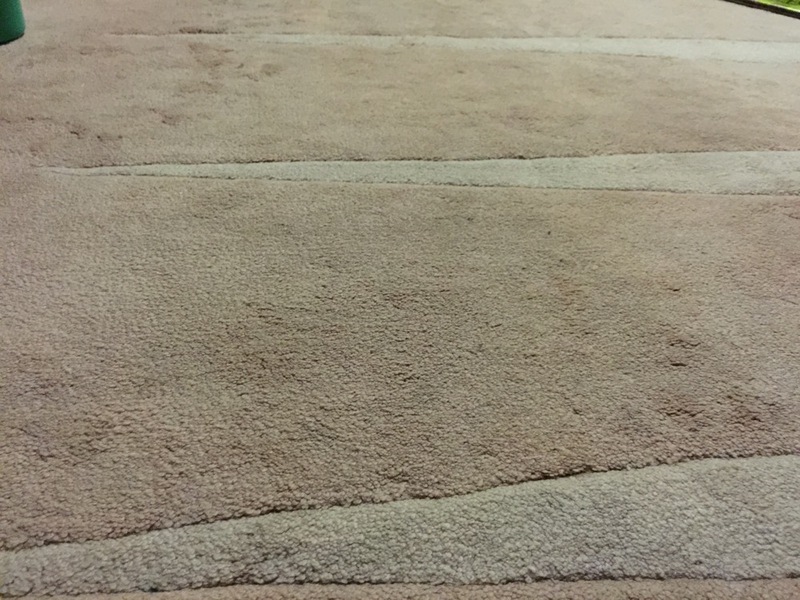 #4 Enjoy your clean carpet that came at a very low cost of only feeling the burn in your back and triceps. This is what my carpet looked like the next morning. Not perfect, but way better than before and cost me next to nothing. Luckily, you can tackle many of the common carpet and rug stains you may encounter with a vinegar and water solution, and sometimes with just undiluted vinegar alone! 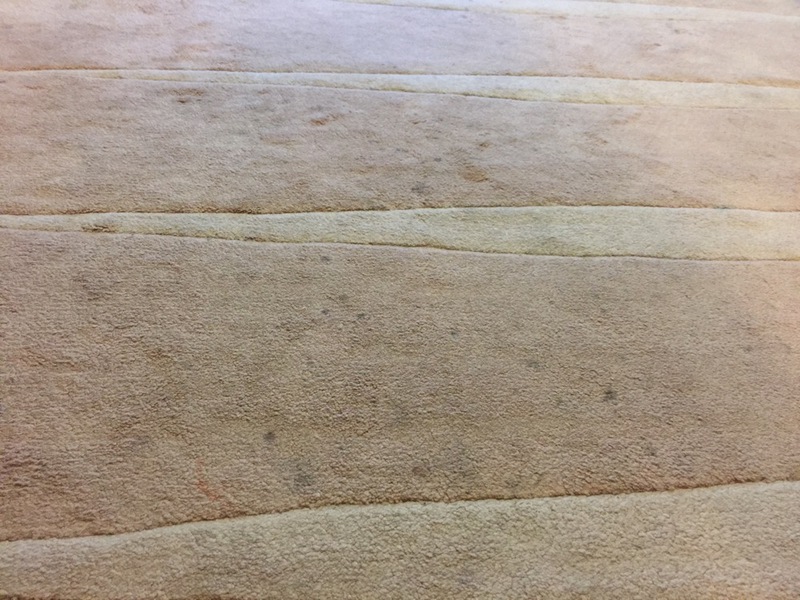 To get that coveted foaming action that many products feature, place the vinegar solution into a well-rinsed foaming soap bottle.Hatton Carpet Cleaners Ltd. I have one of them bissle clean machine it’s a older model…I wonder if it’s working.. yesterday dropped water put a towel on it to dry up the water .. boy ..the dirt on that towel…I guess that cleaner’s don’t work.?!? 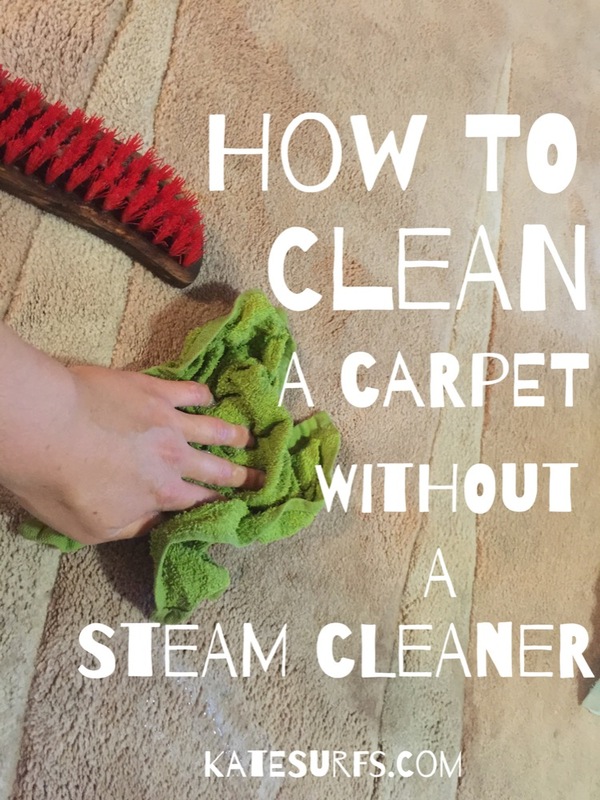 Great tips for removing small stains in between professional carpet cleaning. You guys have some skills cleaning carpets! I always hire a professional cleaner when I want mine clean but ya’ll have it figured out without the experts congrats! Great stuff you have here Kate! A few ingredients plus a little bit of elbow grease is a good way to maintain a clean carpet. Just make sure to dry your carpet thoroughly, when using any liquid ingredient as a carpet cleaner. If not, you will end up with a moldy smelling carpet. Also, make sure to have your carpets cleaned by a professional every once in a while. This will leave you with a carpet that can last for a very long time. You can also apply carpet protector which repels dirt and odors. Good job! I understand budgets are tight sometimes, and you managed to work with what you had! Like Jennifer stated, water and vinegar can work very well for you. On stains, I prefer to blot rather than scrub. Scrubbing spreads the stain around, and it causes stains to resurface faster since they start accumulating dirt faster. If your stains get darker in that area, try the water and vinegar solution with lukewarm water. Hope that helps, thank you for sharing! Just did this on a really bad area and it worked. So I’m gonna make my husband help me with the rest of the house. Then gonna have my mom come over with her carpet cleaner and go over it better. Thank you so much. wow, to do all that upside down too!!! Very informative, thanks for sharing. I always vacuum my carpets, but will surely try this the next time. Seems economical and eco-friendly.